The Henry Samueli School of Engineering is pleased to recognize three doctoral students who have been awarded fellowships in recognition of their outstanding research and academic accomplishments that enrich the lives of the community. Cheng-Wei (Aaron) Chen earned his B.S. in chemical/biochemical engineering from UC Davis and his M.S. in chemical and biochemical engineering from UC Irvine. Chen is a graduate researcher in the lab of Associate Professor Michelle Khine, Ph.D., Department of Biomedical Engineering. 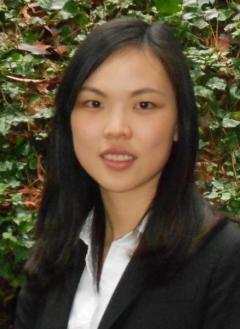 Chen’s research revolves around myocardial infarction (MI), commonly known as a heart attack. MI affects more than 8 million people and costs $30 billion annually in the United States. MI results in dead myocardium, which is non-regenerative, and currently the only viable option to address the issues associated with dead myocardial tissue is whole heart transplantation. As a solution, Chen proposes to develop a scaffold-free and aligned cardiac patch using human embryonic stem-cell (hESC) derived cardiomyocytes (CMs). hESCs are self-renewing and pluripotent, which make them a perfect candidate as a sustainable source for generating CMs. The CMs will be aligned and cultured on a biomimetic substrate, which is similar to the micro-environment in the native heart. Using the cell sheet engineering technique, Chen proposes to stack multiple aligned cardiac sheets to form a cardiac patch, eliminating the possibility of toxic byproducts from the degradation of scaffolds. In addition, aligned cell sheet may exhibit phenotypes similar to the myocardium. Chen anticipates that this approach will provide new insights into cardiac differentiation, behavior and implantation into an infarcted animal model. Ultimately, the cardiac patch could be a viable alternative treatment to MI and potentially save millions of lives and reduce health care costs. Gobind Bisht earned his B.S. in biotechnology and biochemical engineering from the Indian Institute of Technology and his M.S. in biomedical engineering from UC Irvine. He is a graduate researcher in the BioMEMS lab led by Chancellor’s Professor Marc J. Madou, Ph.D., Department of Mechanical and Aerospace Engineering, with joint appointments in the Department Biomedical Engineering and the Department of Chemical Engineering and Materials Science. Bisht’s research pertains to the development of an implantable miniaturized biofuel cell technology that is capable of converting the natural resources available in the body (like sugar and oxygen) to energy for powering implantable devices like pacemakers. The use of a miniature natural power source negates the need for packaging chemical battery fuel into implantable devices, thus leading to a substantial reduction in device size and increasing the life span of device operation after implantation. Yixin (Vivien) Shi earned her B.S. in bioengineering from Beihang University in China and her M.S. in biomedical engineering from UC Irvine. Shi is a graduate researcher in the lab of Professor Steven C. George, M.D., Ph.D. Her research involves diagnosing asthma in children and in investigating the diagnostic capacity of a non-invasive technique, Impulse oscillometry (IOS), which is able to assess the function of deep regions of the lungs with a simple test during tidal breathing. The goal is to determine if this new technique can offer improved diagnosis at a reduced cost and can simplify the management of childhood asthma. Her research project investigates a simple technique that is equivalent to traditional clinical diagnosis and might have expanded ability that can further change the therapeutic decisions. This technique may improve the treatment for about 10 percent of children in the U.S. who suffer from asthma, as well as reduce the annual $20 billion disease cost. The Public Impact Fellowship program highlights and supports doctoral students whose current research has the potential for substantial impact in the public sphere. Ideal candidates will be involved in research designed to significantly improve or enrich the lives of Californians and/or national and global communities.